Contact us at 707.963.3757 or email us. Your Donations Help In Many Ways! The Robert Louis Stevenson Museum depends on many sources to support our mission to preserve and promote the legacy of RLS. Our endowment keeps the doors open but it is thanks to the sustaining support of our community that we can offer free educational programs and exhibitions, while continuing to grow and properly preserve the permanent collection. 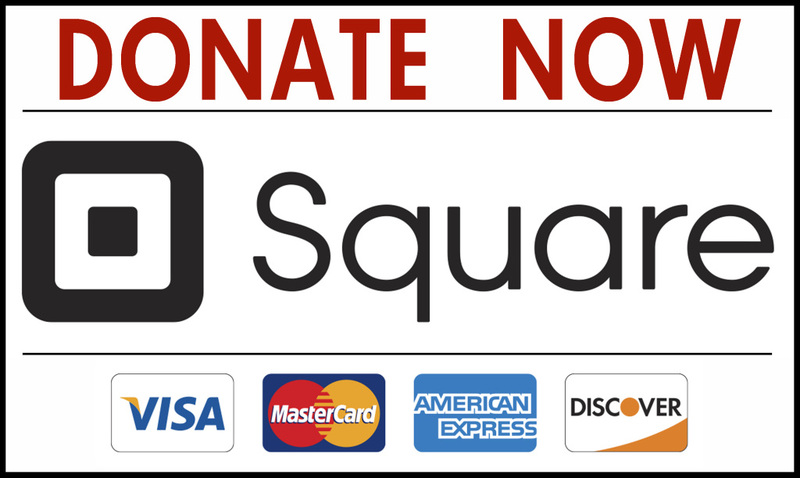 As a 501(c)3 non-profit organization your generous contributions are 100% tax-deductable. If you would like to learn more about how your gift can have the greatest impact, please contact the museum at 707.963.3757 or email us. Help us to showcase the legacy of Robert Louis Stevenson to residents of and visitors to the Napa Valley. Your unrestricted gift will help the Museum continue to grow in many ways. Help us ensure organization capacity, enrich our programming, and keep the collection preserved for generations to come. Join like-minded supporters who share your interest for innovative presentations of our literary legacies by donating now. Together, we can have a measurable impact on the effect the arts have on the social and economic well-being of the community we proudly serve. Donate publicly listed stocks or securities that have appreciated in value. When the donated items have been held for 12 months or longer, you may claim a deduction for their full fair-market value, and after appreciated securities are donated, you avoid paying tax on the capital gain. A receipt will be issued for the full value of the donated property. Any excess deduction not claimed may be carried forward for an additional five years. If the donated securities have been held for less than 12 months, only your cost basis is deductible. Does your company match its employees’ donations? Make your donation worth twice as much with an Employee Matching Fund. For a list of companies that match donations ask you Human Resources Department. Your contributions have been a sustaining force that has carried the RLS Museum for 49 years, and your financial support is fundamental to our ongoing achievements and growth. As you make plans for your end of year giving, please consider a generous gift to the Robert Louis Stevenson Museum and become part of our success as we approach a new year! Help us to inspire our community and to recognize the creative richness of the Stevenson legacy. Your company’s financial contribution is an investment in Napa Valley’s premier literary museum. 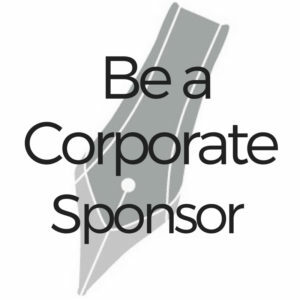 Interested in becoming a corporate sponsor? Please contact us via email to discuss how your company can help bring the best educational experiences to our visitors from St. Helena and around the world. Commemorate special occasions or celebrate a loved one while honoring their commitment to the arts with a memoriam gift to the Robert Louis Stevenson Museum. On your behalf, the Museum will send the honoree or their family a letter informing them of your thoughtful generosity. The Robert Louis Stevenson Museum recognizes individuals who believe that the legacy of Robert Louis Stevenson has a vital place in our cultural life, and have expressed their support through a bequest or other planned gift. These gifts can offer significant tax benefits to you or to your estate, while also providing critical support to the Museum. You may designate your planned gift for areas including special exhibitions and projects, acquisitions, educational programs, operating expenses, and long-term endowment support. The simplest and most common way to make a planned gift to the Robert Louis Stevenson Museum is through your will. By remembering the Museum in your estate plans, you can make a lasting contribution to a public organization that enlightens and engages thousands of people every year. Although many people believe that estate planning is only for the wealthy, it is important for everyone to arrange the disposition of their estate. A bequest can be stated as a specific amount or as a percentage of your estate. Your estate will receive a full tax-receipt for the amount of the bequest, which may help to reduce payable estate taxes. If you have substantial assets which you would like to transfer to your children, grandchildren or others, a Charitable Lead Trust is an excellent means of making a gift to the Robert Louis Stevenson Museum while reducing gift or estate taxes. This type of trust pays an annual amount to the Museum, with the assets ultimately passing on to another beneficiary. You can decide whether to receive an income tax deduction or pass savings on to your estate. Contribute to the future of the Robert Louis Stevenson Museum, secure lifetime annual payments for yourself and/or other beneficiaries, and generate substantial tax benefits with a charitable remainder trust. A trust of this kind provides beneficiaries with income for life or a specified length of time and then distributes the remaining assets to the museum. An income tax deduction is available immediately. Retirement, life Insurance policies and real estate assets may all be donated to the Museum. Bequeathing retirement assets to the museum allows you to fulfill your charitable objectives while preserving more of your estate’s value for family members. Designating the museum as the beneficiary of your retirement account may help your estate bypass multi-tier tax exposures, preserve the value of your estate, and protect your heirs from potential tax burdens. If you have any questions, the Robert Louis Stevenson Museum’s Executive Director would be happy to discuss these options with you and/or you personal financial planner. If you have a book, papers, artwork or other objects you would like to give to the Robert Louis Stevenson Museum, please contact the Museum’s Executive Director via email. Because some gifts may require careful preparation, talking with us will ensure that the museum can accept your gift. The Director will guide you through the process and provide answers to any of your appraisal and tax questions. Please contact the museum prior to giving your donations. Please note that the Museum has a Collections Management Policy which specifies the type of materials which can be added to the permanent collection; however, donations not joining the permanent collection may still be accepted. Please note that the RLSM cannot provide appraisals or valuations on items. Thank you. For any donation of gifts in-kind, the faire-market-value is tax-deductible. We provide a letter stating what the gift was and when it was received by the Museum. The donor should keep this letter as a receipt of the gift in case they are asked to produce it by the IRS. We do not appraise value. Office supplies, equipment, and recently released computer hardware & software. Printing services for brochures, postcards, and other projects.